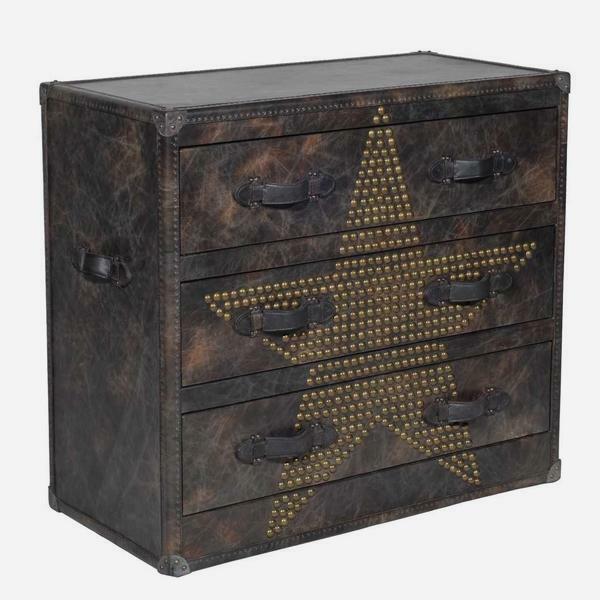 A worn, fudge leather chest with three drawers, dark leather handles and playful brass studded star detail. 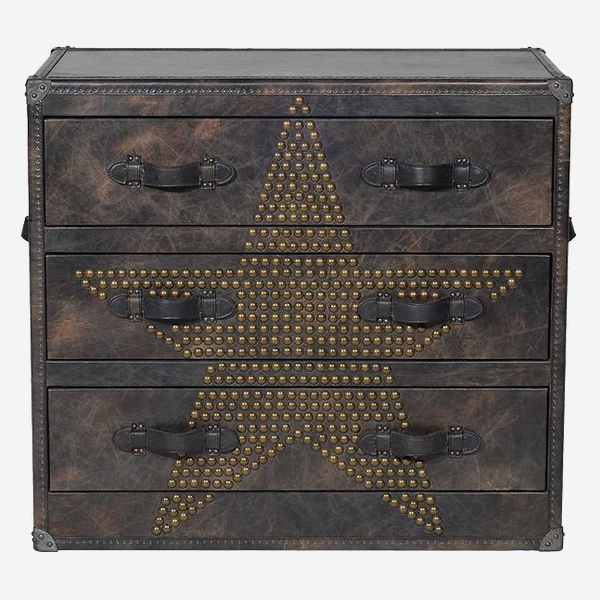 A theatrical addition to a room with soft, vintage appeal. Howard is like your very own star in the Hollywood Walk of Fame.